Interstitial cystitis, otherwise known as bladder pain syndrome, is a recurring, usually very unbearable urinary bladder disease. This disease is characterized by bladder pain, pain connected with urination or dysuria, urgency, urinary frequency (usually the person has to pee every 10 minutes), and there could also be pressure in the bladder. According to Harvard University research, interstitial cystitis oftentimes has impacts that can be extreme and debilitating. A guide from the Harvard Medical School says that patients with interstitial cystitis often have a life more or less is similar to that of a patient who suffers from lingering cancer pain or on kidney dialysis. It is officially acknowledged as a disability. Interstitial cystitis affects both men and women of every culture, age, as well as socioeconomic backgrounds. Despite being known to be a condition limited to menopausal women only, an increasing number of men and women have gotten the diagnosis even when still in their 20’s and younger. It is not a seldom occurring condition, but it is affects women more than men. Early studies showed that it affects 1 in every 100,000 up to 5.1 in 1,000 of the overall population. Around about 12% of women might be experiencing early symptoms of interstitial disease. The signs and symptoms of interstitial cystitis are oftentimes mistaken for the usual bladder infection or cystitis, or a urinary tract infection (UTI). But, it has not been discovered to be brought about by a bacterial infection. The prescribed antibiotics for treatment of interstitial cystitis are not effective. The signs could also be, at first, attributed to epididymitis and prostatitis in men and uterine fibroids and endometriosis in women. The cause of interstitial cystitis is still unknown, although several different theories have been submitted, including nerve theory, autoimmune theory, mast cell theory, infection theory, leaking lining theory, to name a few. Irrespective of the source, it is apparent that a lot of the patients with interstitial cystitis have a damaged bladder lining. 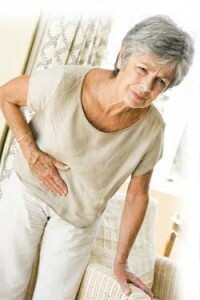 When there is damage, events like excessive intake of sodas or coffee or there has been physical trauma, urinary chemicals that could “leak” into the nearby tissues which can result to pain and inflammation, along with other urinary symptoms. Some medications, like pentosan polysulfate, are put directly in the bladder using a catheter in order to achieve reduced symptoms.